CSULB Home About Us College of the Arts CSULB News Articles. 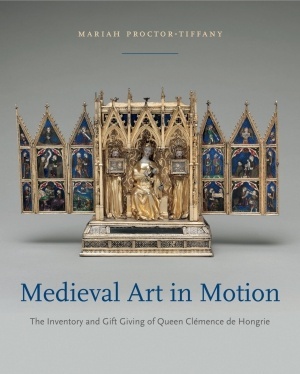 CSULB Art History faculty member Mariah Proctor-Tiffany is celebrating the release date of her new book, Medieval Art in Motion: The Inventory and Gift Giving of Queen Clémence de Hongrie. In this visually rich volume, Mariah Proctor-Tiffany reconstructs the art collection and material culture of the fourteenth-century French queen Clémence de Hongrie, illuminating the way the royal widow gave objects as part of a deliberate strategy to create a lasting legacy for herself and her family in medieval Paris. After the sudden death of her husband, King Louis X, and the loss of her promised income, young Clémence fought for her high social status by harnessing the visual power of possessions, displaying them, and offering her luxurious objects as gifts. Clémence adeptly performed the role of queen, making a powerful argument for her place at court and her income as she adorned her body, the altars of her chapels, and her dining tables with sculptures, paintings, extravagant textiles, manuscripts, and jewelry—the exclusive accoutrements of royalty. Proctor-Tiffany analyzes the queen’s collection, maps the geographic trajectories of her gifts of art, and interprets Clémence’s generosity using anthropological theories of exchange and gift giving. Engaging with the art inventory of a medieval French woman, this lavishly illustrated microhistory sheds light on the material and social culture of the late Middle Ages. Scholars and students of medieval art, women’s studies, digital mapping, and the anthropology of ritual and gift giving especially will welcome Proctor-Tiffany’s meticulous research. You can find Medieval Art in Motion on the Penn State University Press website. Two CSULB Design Teams Move to Stage Two in the 2019 Biomimicry Challenge and Launchpad. At the start of the academic year, the College of the Arts and the Department of Design proudly announced the inclusion of two CSULB design teams and projects in the selection of the eight international finalists in the Biomimicry Global Design Challenge. Those eight teams were given, time, tools, and resources to continue their work in creating real-world solutions to climate change that are inspired by nature – biomimicry. That first stage of exploration of technology and market validation has been completed, and the original eight winning projects were joined by an additional five invited start-up projects. Of those thirteen projects, seven have been invited to move forward into stage two. 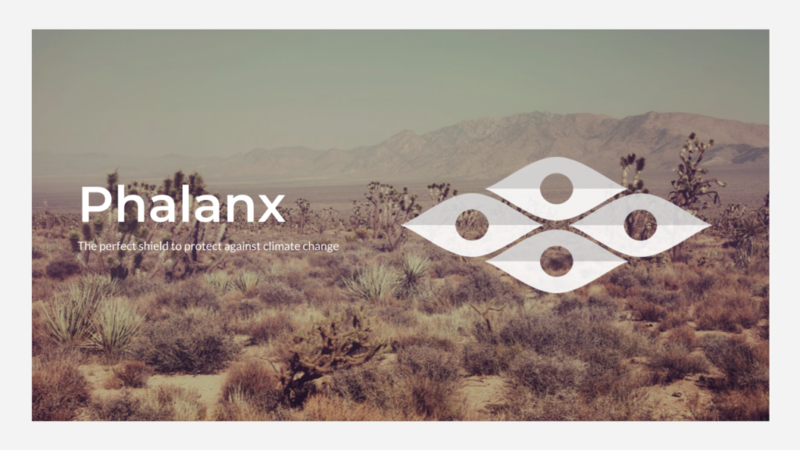 Both CSULB teams – GenRail and Phalanx – are moving forward and focusing on developing a strong proof of concept and improving their go-to-market readiness. This year’s Biomimicry Launchpad culminates in June 2019, when the Launchpad teams will gather in Minneapolis for GreenBiz’s inaugural Circularity conference. At the conference, which focuses on the circular economy as a transformational business strategy, the Institute will award the $100,000 Ray of Hope Prize® (sponsored by the Ray C. Anderson Foundation), as well as a $25,000 second prize, to two of the Launchpad teams. 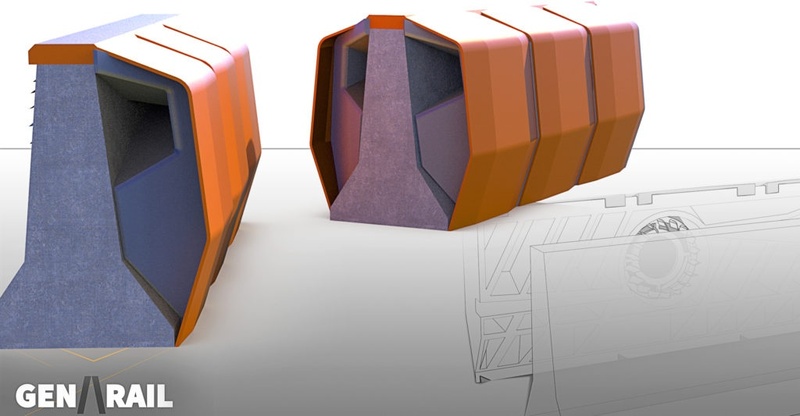 For more information on the GenRail, Phalanx, and other Launchpad solutions, visit the Biomimicry Institute.